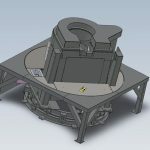 Recent developments have taken place where furnaces with a standard fixed pouring point have been adapted for applications where molten metal can be directly poured into several different processes without the need for complex or cumbersome launder systems or ladles, typically this technology can be applied to continuous casting plant and metal powder manufacture, where smaller batch quantities of differing molten alloys can be fed directly into to multiple casting or atomising machines. A standard hydraulic tilting furnace with a fixed pouring point is not ideal as transportation ladles or launders are required which can result in metal temperature loss, gas pick up and other product quality issues. In each instance where linear (Pre tilt) or rotational (Carousel) technology has been employed, manual ladle pouring has been eliminated along with ladle pre heating. 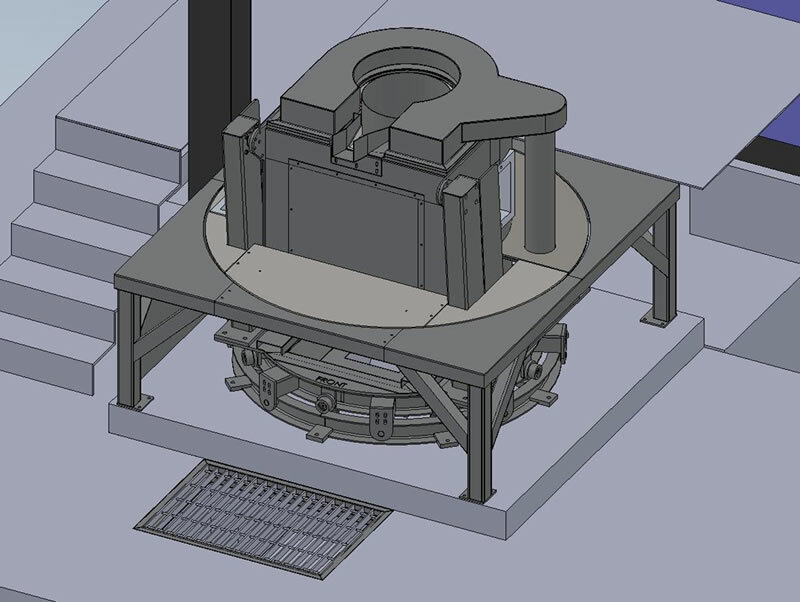 In one particular application a bespoke coreless induction furnace was supplied and installed into an existing platform area while providing a rotational capability so the furnace could be turned through 90 degrees to allow a direct pour into a selected continuous casting line or alternatively, the other way for a ladle pour. 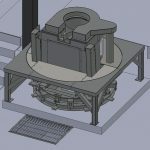 This machine would have to incorporate all the features of a standard magnetically screened coreless induction furnace system with the addition of a supporting carousel system to allow the required radial movement. 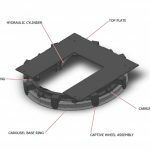 Meltech entered discussions with a leading UK based continuous caster in late 2012 where a detailed specification and design principal was agreed. 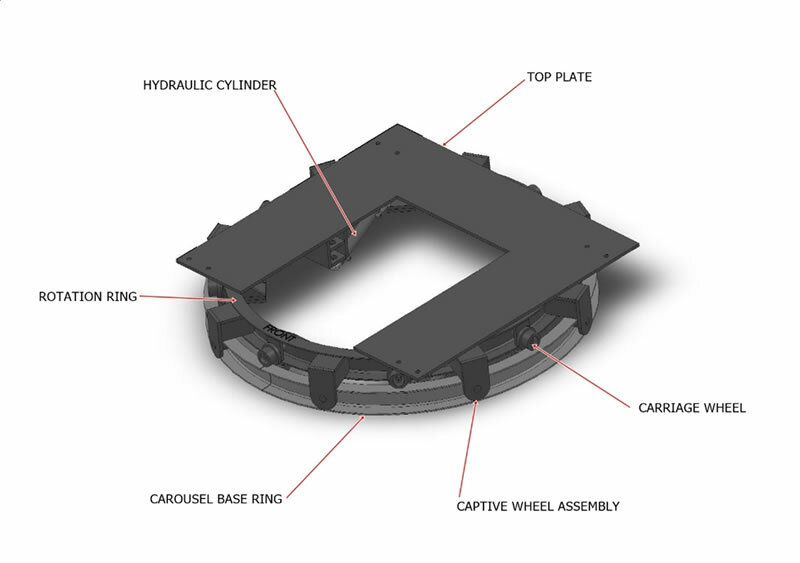 There were many considerations when the design concept was finalised, in particular, the stability of the machine was of upmost importance as the furnace would be fitted onto a hydraulically driven captive ring assembly and had to be highly controllable, safe in operation while being almost maintenance free. Connections to the furnace body such as water hoses, power cables and extraction ductwork also had to be carefully thought out to allow the free rotation of the furnace without damage or excessive wear to the service assemblies which were positioned below the platform. Metal run through could also cause catastrophic to these sub platform assemblies so a spill tray arrangement was designed and built underneath the furnace in order to guide the metal into the spill pit area and away from the carousel in whatever position the furnace was in. 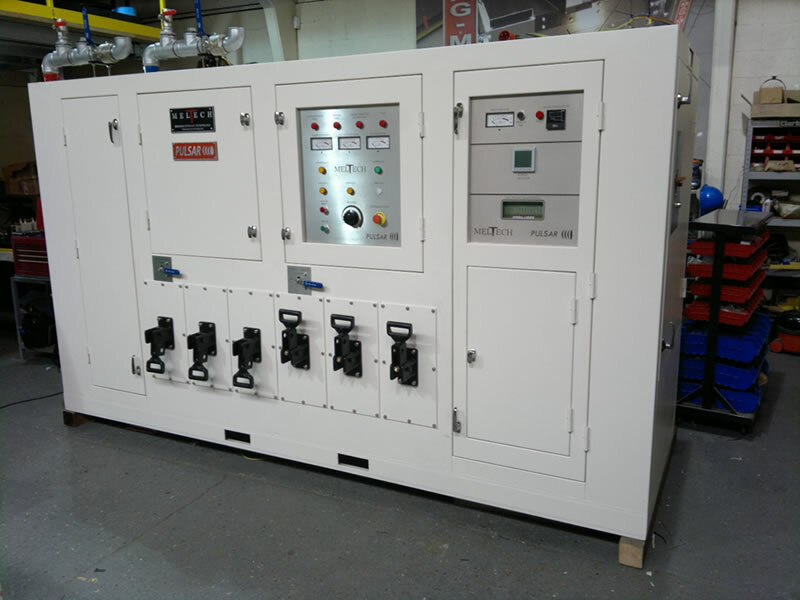 In February 2013 the project was awarded to Meltech Ltd which included a 750kW 600Hz pulsar inverter with a single Mag-Melt 1500kg furnace body, this machine was to be based on the standard range of equipment but heavily modified to incorporate the fore mentioned special features. 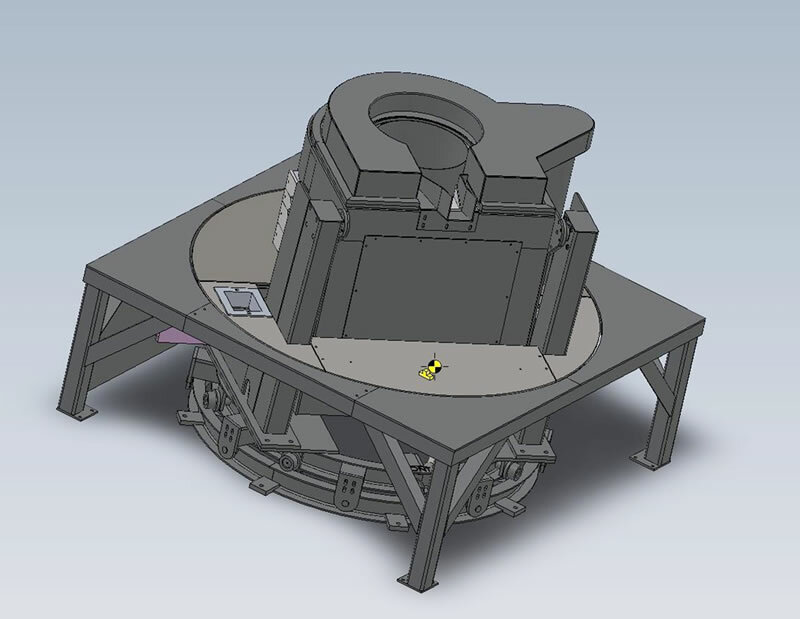 The design work was completed and approved by May 2013 within the Solidworks software package which gave the opportunity to model the equipment in 3D, this meant that the machine could be redesigned and modified easily before any actual manufacture had taken place. 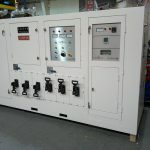 Installation of the system was completed over a two week period during summer shut down in August 2014. 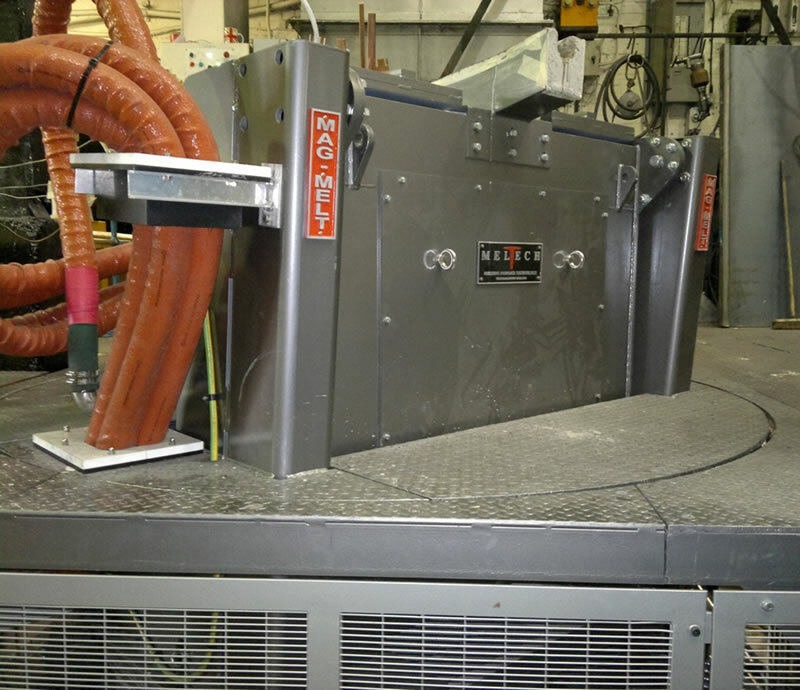 This project is one of several bespoke linear and carousel type induction furnace systems to which Meltech Ltd has now supplied.